Vermont State Parks is teaming up with a local outdoor gear company to get their entire state outdoors. This summer, visitors of several Vermont State Parks will have the opportunity to rent camping equipment to use during their stay. 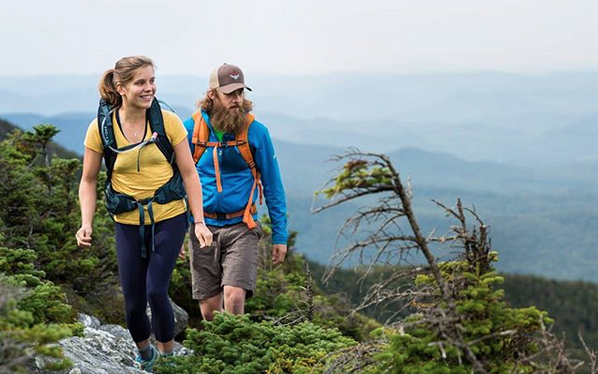 This new initiative is being sponsored by Outdoor Gear Exchange in Burlington, Vermont, and their underlying goal is to attract new campers. Both Outdoor Gear Exchange and the Vermont Parks Department recognize that camping isn’t always inclusive to everyone because of the spendy price tags on quality equipment, which is why rentals will be completely free. Alongside the Vermont State Parks Department, Outdoor Gear Exchange will loan out stoves, lanterns, tents, and sleeping pads. And given that sharing sleeping bags isn’t always optimal, they’ll be selling bags at affordable prices. Sherman proposed this idea after brainstorming with several employees from the Parks Department. As soon as word got out, several outdoor companies began contacting Sherman, asking how they could get involved. Manufacturers such as Kelty, Mountainsmith, Black diamond, and Jetboil showed their support by offering up high-quality goods in the effort to recruit new campers. “This is the stuff that you need to go camping, and it’s stuff the typical family that hasn’t done it may not be able to afford,” Sherman said. So far, the state has not yet decided which five parks will be included in this new program but it’s one of several moves that Vermont has made towards an outdoor recreation economy. The state actually has a group called the Vermont Outdoor Recreation Economic Collaborative, which Sherman is a member of. The group issues state policy recommendations to the government in an effort to increase the state’s outdoor recreation opportunities. Some notable initiatives include a proposal to give financial awards to outdoor recreation projects and businesses, as well as selling hats and water bottles to benefit Lake Champlain clean water efforts. They also aid the state in reviewing policy, such as permit rules for public trails on private lands.